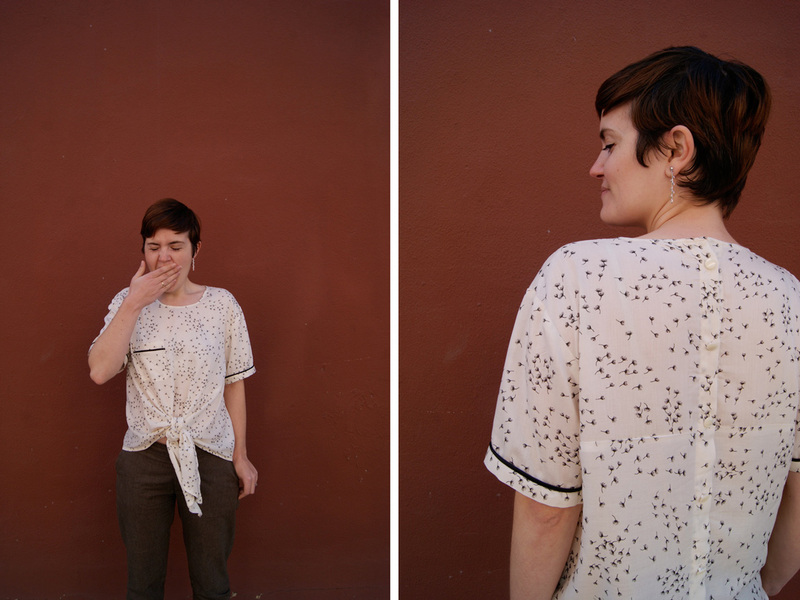 And last but not least, I’m really excited to introduce the lovely Denia blouse! 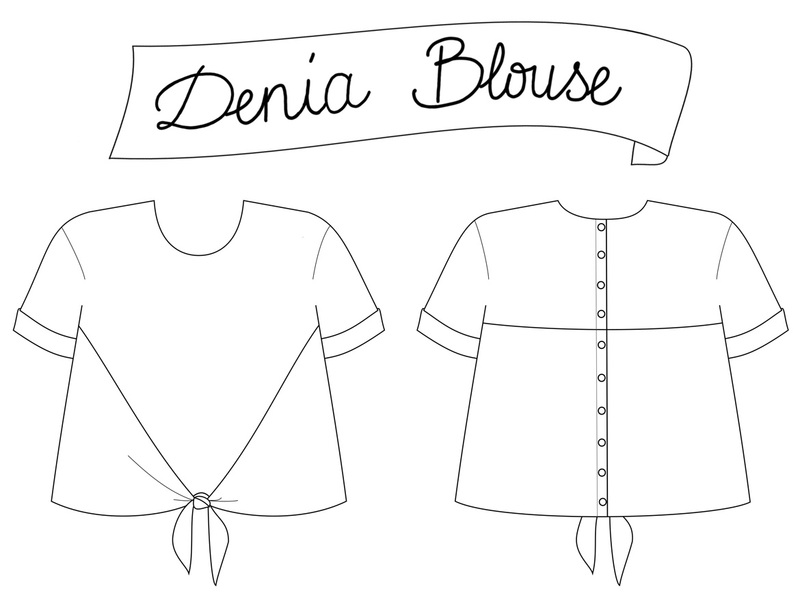 Denia is the easiest of the new patterns: this would be an excellent project for a beginner seamstress. It features a round collar, short cuffed sleeves and buttons in the back. The wide panels can be tied in a knot or left loose. It’s available as a PDF pattern in English, French and Spanish. For fabric, we recommend light to medium weight such as cotton poplin, batiste, linen, viscose, chambray… Use stripes or color block to highlight the original seams. Depending on the fabric you choose, Denia can be either casual (think cotton or linen) or more dressed-up (viscose, silk). 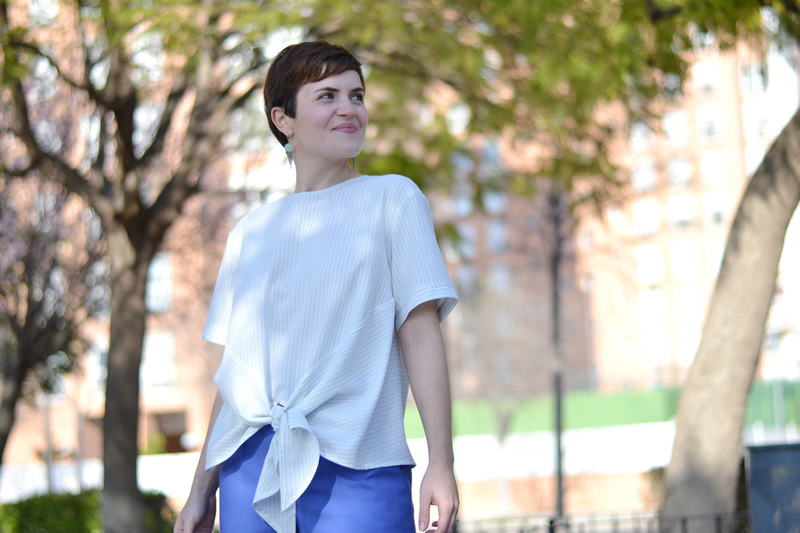 I was also inspired by my Japan trip for the Denia blouse: I wanted something stylish but with a very classic line at the same time. The volume is key for this pattern: loose-fitted, the ties help shape the blouse the way you want to. Stripes were obvious to me as soon as I started working on the pattern: it would be so great to play with horizontal and vertical stripes for the many pieces. I used a cotton fabric with lurex stripes from Un chat sur un fil for the presentation pictures. This will be the perfect top for summer as it’s loose-fitted and will look stylish with everything. 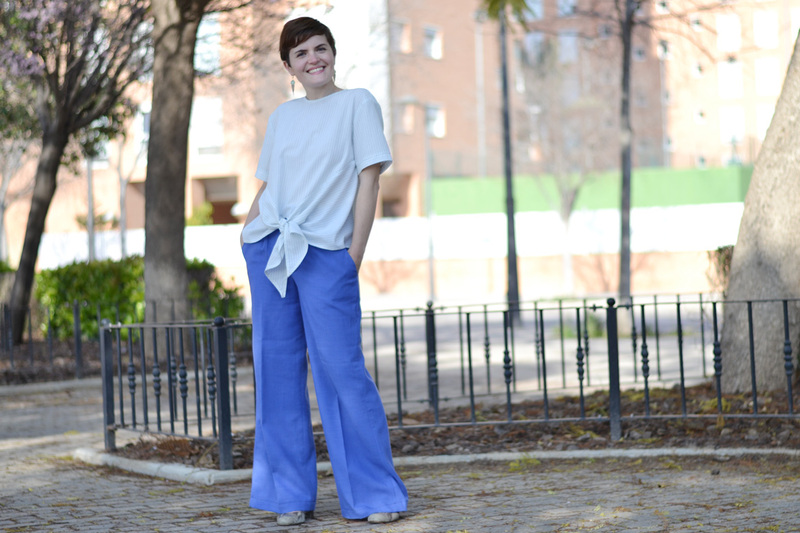 How about you pair it with the Botanic trousers, the Rosari skirt or the Port shorts? 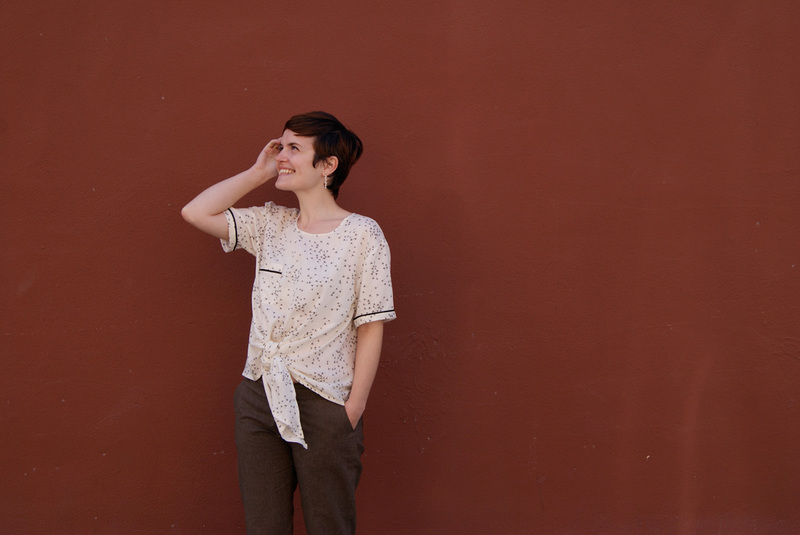 Find the Denia blouse PDF pattern here! attached correctly. I am still only partly finished. I am not certain it is right. My sewing arrangement is not so good. but it is really lovely.